Something hasn’t felt just right about the about the birthing season this year. I haven’t been able to quite put my finger on why this is. 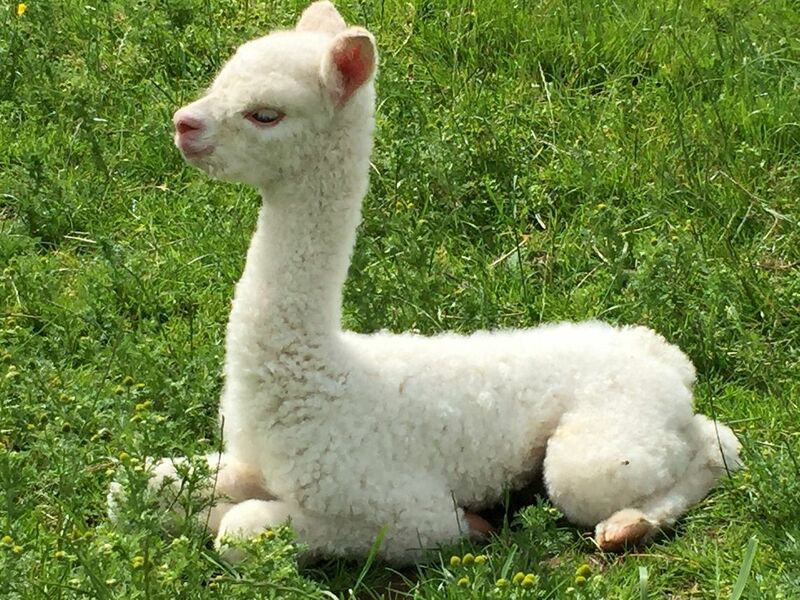 We have lots of beautiful cria, lots of females and lots of different colours. I was getting worried that I had become a bit jaded, after seeing so many births. Was the excitement waning. Why was my heart not singing quite as it usually does. Then after eleven agisted cria in a row…we had a Beck Brow Birth yesterday…and all at once I realised what the problem has been. It’s just all too much…too much colour…and not enough Explorer. 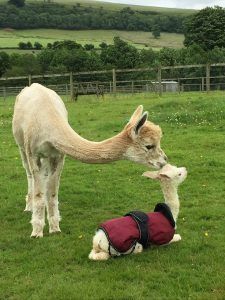 Usually we have lots of mini mirror images running around the paddock, but apart from By Design born in March, I have had no other Explorer cria…and how I have missed them. Yesterday Cambridge Summer Solstice (sire; Windsong Valley Firedragon) had a Beck Brow Explorer daughter…I don’t care to hide my bias…she is beautiful. 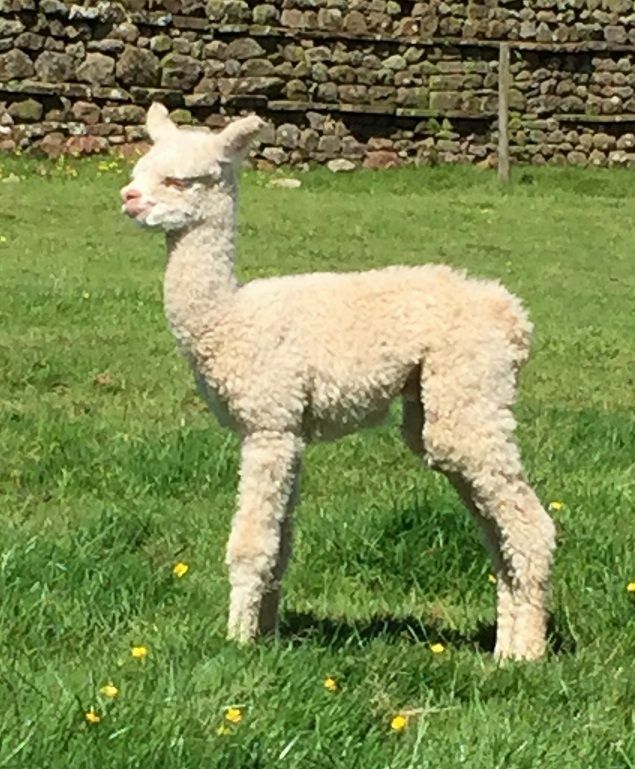 She is also full sister to Beck Brow Hey Now, Supreme Champion (NWAG 2017) and Reserve White Male from 77 entries (British Alpaca Society National Show 2017). Trying to link the two siblings by name did take a little thought. I firstly considered Hey Ho…she was a tad Dopey…but once you get “Hey ho, Hey ho, it’s off to work we go” in your head it won’t shift. So we have named her Beck Brow Hey Baby, and now Ronan Keating keeps singing away…but at least it has a better tune. There is actually a rather lovely Explorer son in the agisted paddock. Florens Intrepid (dam; Blackmore Vale Butterscotch) is a lovely apricot colour and has the Explorer look about him. 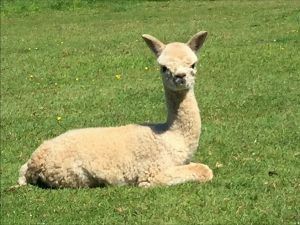 Florens Juno has had a light fawn Kurrawa Crusader of Beck Brow female (no photo), taking Crusaders progeny to 5/5 female! Beck Brow Cheers to Lottie is keeping us on our toes; born c-section, she then had severe constipation, causing an umbilical hernia from straining…she now has a jaw abscess which is being treated with antibiotics. She is gaining weight and chasing around. Hopefully onwards and upwards now. In my last blog I discussed the need to make some space for this year’s cria, and things are going to plan. There will be a lot of movement off the farm over the next few months. Not so difficult when you know that they will be well looked after, but I am saying cheerio to some favourites. Time seems to fly by at this time of the year. 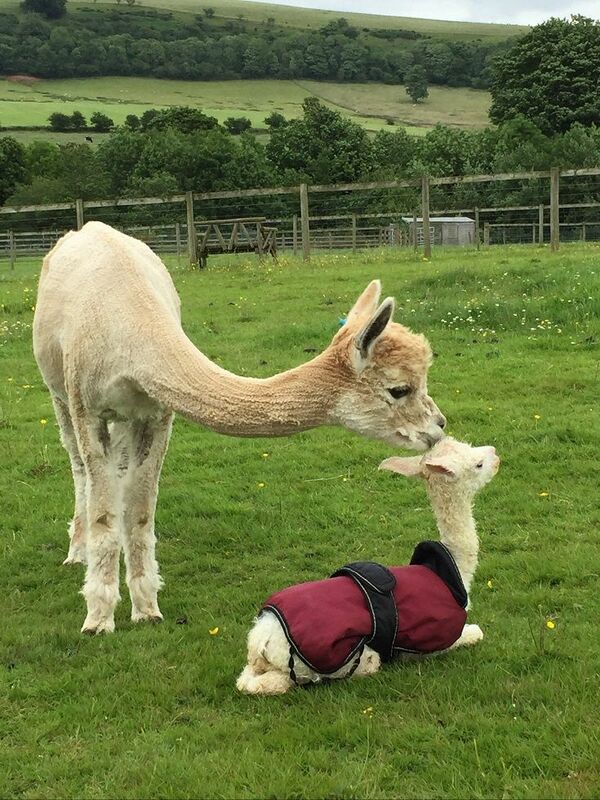 It is 2 weeks since our friend Sarah Busby (Gilt Edge Alpacas, New Zealand) came to visit. It was lovely to be able to show Sarah our herd and for her to see Samurai as an adult working male. We never stopped talking and the day just flew by. We will next see Sarah at the Australian National Alpaca Spectacular in Bendigo, Australia in August. 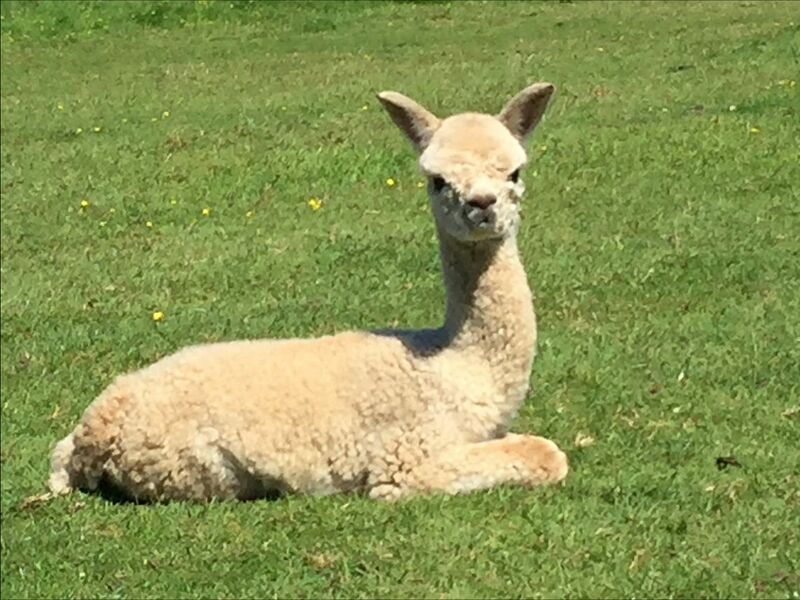 Craig has been out about with the alpacas over the last couple of weekends. Last weekend at Skelton Show, where the alpacas drew a lot of interest and have tempted some potential new breeders. 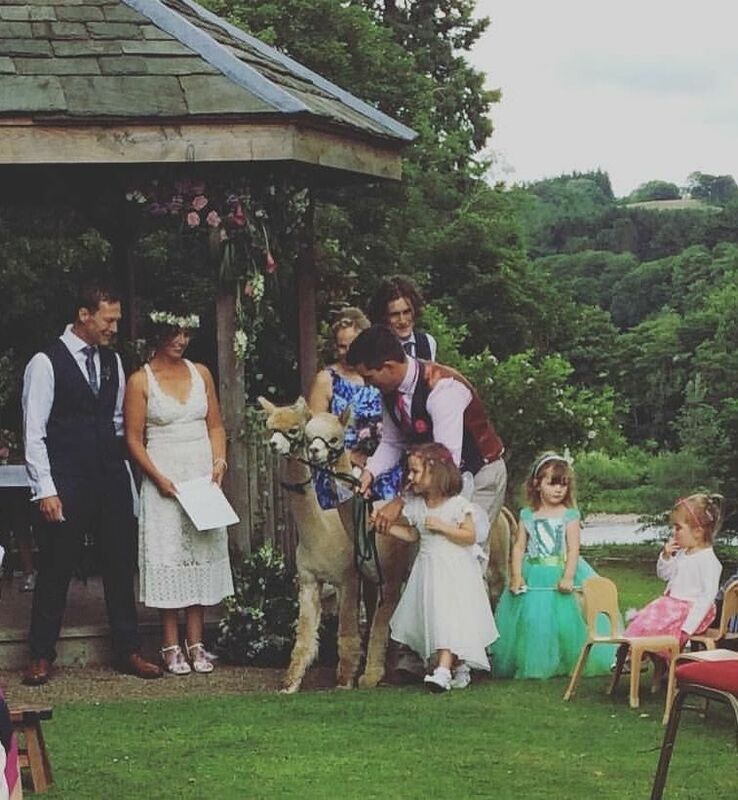 The previous week, Craig, Bees Knees and Reno were ring bearers and special guests at Sally and Rob’s wedding. Beck Brow Bees knees and Beck Brow Reno as wedding guests.